Fully integrate facility interiors with overall building systems. Analyze the local climate and preserve all integrated passive and natural design strategies. 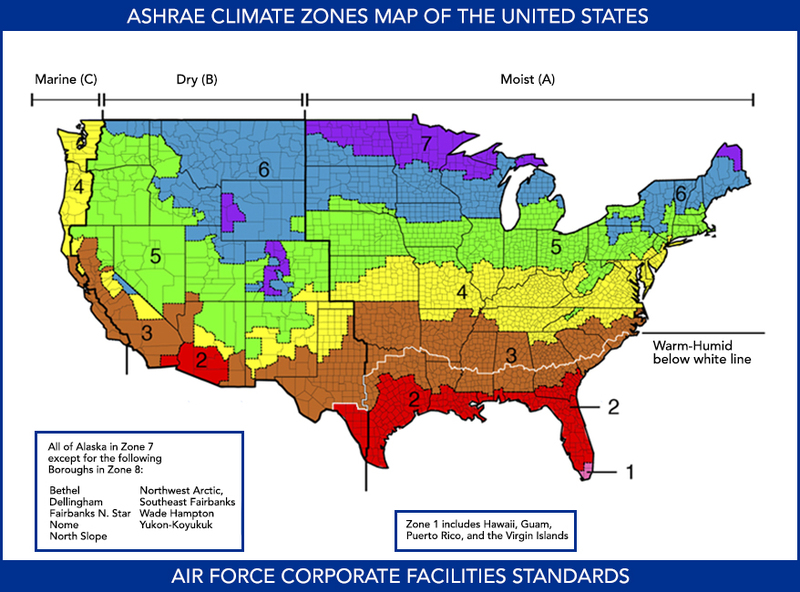 Review the ASHRAE Climate Zones map to identify the local climate and provide designs that are appropriate for it. Passive thermal comfort methods are allowed and encouraged. Preserve passive cooling strategies and passive heating strategies in the overall building design. Relate the level of quality for materials and finishes to the Facility Group designation. Group 1 may receive higher quality than Groups 2 thru 4.